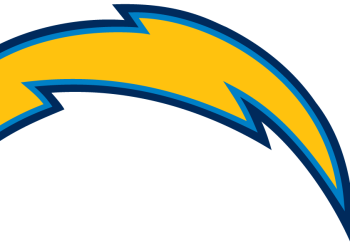 The professional American football team now known as the Los Angeles Chargers previously played in San Diego, California as the San Diego Chargers from 1961 to 2017 before relocating back to Los Angeles where the team played their inaugural 1960. The Chargers franchise relocated from Los Angeles to San Diego in 1961. The Chargers' first home game in San Diego was at Balboa Stadium against the Oakland Raiders on September 17, 1961. Follow the latest news and discussion after the Chargers moved from San Diego to L.A.
Anthony Lynn knows that sometimes the best players on the Chargers draft board will not always correspond to his team's immediate needs. The Chargers coach told the story during the combine about his first year with the Chargers in 2017 when he said the team needed help on defense. The Chargers' first three selections ended up being offensive players because they were the best players. A six-pack of Dolphins notes on a Tuesday night: ▪ The Dolphins decided replacing center Mike Pouncey with Daniel Kilgore last year would be a virtual wash, that they would be getting a similar player who would be cheaper and less injury-prone. It didn't work out that way. While Pouncey played generally effectively in all 16 games for the Chargers, Kilgore tore his triceps in the fourth game, missing the rest of the season. Kilgore was made available to reporters on Tuesday for the first time since last September and said he's fully healthy but that the Dolphins have not conveyed to him whether he will be on the team (it appears very likely he will be) or if he's part of the plan moving forward. As the Chargers prepare for the NFL draft, The Times will examine their roster. Instead of an Achilles' heel, the Chargers had an Achilles' entire foot for far too long. After arriving in Week 6 following an injury to Caleb Sturgis, Badgley eventually won the starting job and settled what had been the Chargers' most turbulent position over the past two seasons. Under contract for 2019: Wide receiver Keenan Allen ($12.15 million), wide receiver Travis Benjamin ($6.5 million), wide receiver Mike Williams ($5,386,379), tight end Virgil Green ($3.3 million), tight end Henry ($2,030,098), wide receiver Geremy Davis ($730,000), tight end Sean Culkin ($649,000), tight end Vince Mayle ($645,000), wide receiver Dylan Cantrell ($570,000), wide receiver Andre Patton ($495,000), wide receiver Artavis Scott ($495,000), tight end Austin Roberts ($495,000), wide receiver Justice Liggins ($495,000). With the release of every NFL team's regular season schedule Wednesday came some insanely creative promotional videos. Here are a few of the best ones from around the league.